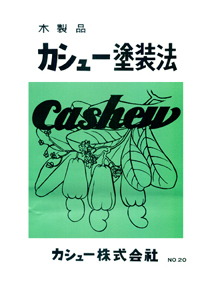 Cashew Co., Ltd.(Japan) (www.cashew.co.jp) patented and introduced Cashew Urushi from 1950, introduced the coating reference booklets (Japanese language version only). 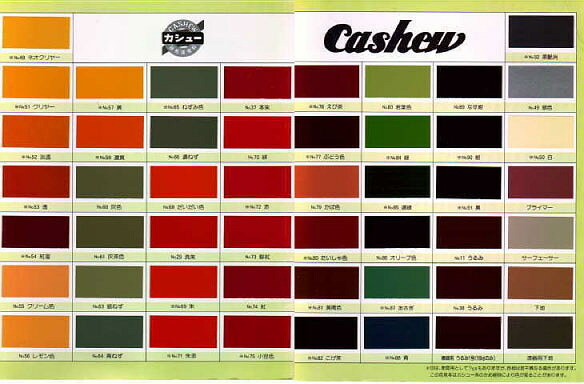 This coating sample pages are simply followed with the Cashew company's reference booklets, (Cashew.Booklet PDF file). Also, some other respectable published books, videos, or websites might be useful reference for coating and restoration. Recently, Japanese manufacturer Washin Paint, Co., Ltd. introduced chemical polymered "Gousei Urushi" for general wood craft purpose, using urethane based shitaji unlike Cashew urushi and Hon-urushi, and it's Fast, Easy, but, somehow looks Plastic . It is good for urethane family paint, very similar to ordinal lacquer, available at "www.washin-paint.co.jp" around $10 to $15 with 200ml container. Finished taste and feeling are slightly different from Cashew urushi and Hon-Urushi; but dry time is 5 hours faster than Cashew urushi, not recommend for recoating over natural urushi or cashew urushi, or antique items. 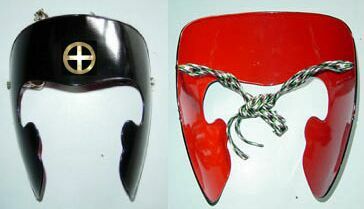 The mask was made of iron/steel, there are two ways; one is directly to coat on iron; other is coat rice paper or thin cloth by Nikawa glue (made from the skins, bones, tendons and intestines of animals or fish skins and bones.) or half transparent (semi-transparent) Cashew urushi or Sejime Urushi (Hon-Urushi). First, paint edge area with "Cashew Undercoat 2go", adding 20% of Cashew Thinner (or paint thinner which natural spirit alcohol based lacquer thinner, not mineral sprit. ); then, coat entire area with "Cashew brush". (If the object is wood, might be first use Hera (spatula) to filling tiny space of surface, rather than simply coating. 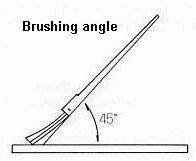 ; then, use brush to complete.). Wait drying for one night, and sanding with #240 sandpaper. Second, paint edge area with "Cashew Surfacer", adding 20%-30% of Cashew Thinner (or paint thinner which natural spirit alcohol based lacquer thinner, not mineral sprit. ); then, coat entire area with "Cashew brush"or splaying with airbrush. Clean up all surface of object (no dust and no oily area), apply desired "Cashew color urushi", adding 15% to 30% of Cashew Thinner (or paint thinner which natural spirit alcohol based lacquer thinner, not mineral sprit. ); then, coat entire area with "Cashew brush", or splaying with airbrush. The above coating process is typical one of manufacturer recommended coating, entire coating process takes 4 to 5 days to complete. Note: Before complete dry, place gold leaf (24K) carefully with soft brush, after cutting desired design such as Kamon, pattern marking. Hon-Urushi coating is similar; but, polishing is more sensitively taking place with "Sumi" instead of sandpapers for polishing. Turpentine is widely available natural paint thinner at home center and hardware stores, and can be used for both Cashew Urushi and Hon-Urushi. Thinner: Turpentine(Pure Gum) is widely used for both Hon-Urushi and Cashew Urushi as natural thinner.